Many franchised dealers rely heavily on service activity when it comes to ensuring healthy levels of profit. With many consumers now turning to alternative means of choosing and even buying cars online, the survival of bricks and mortar dealerships is increasingly dependent on service centres and the expertise they offer. However, recent trends point to a potential drop in the levels of service activity over coming years and its vital franchised dealers prepare to offset this sooner rather than later if they wish to thrive in the future. The drop in service activity is down to several key factors and trends that have emerged over recent years. Service intervals have become longer, with many more commonly measured on mileage rather than time, especially in newer vehicles. This in turn is creating a longer time window in between visits, resulting in less service hours for dealers. Most cars are also fitted with a service notification, so motorists will listen to the car instead of relying on regular visits to a mechanic to assess the health of a vehicle. The increase in reliability amongst more advanced vehicles, especially hybrid and EV powered, is also contributing to the decline in regular service activity. The nature of these vehicles means there are less moving parts under the bonnet, and the simplicity of aspects of the mechanics means there is no need for common procedures and repairs such as an oil change or a replacement clutch. The recent rulings in the UK regarding the discontinuation in sales of new petrol and diesel cars after 2040 means this trend will only continue to grow. How can you bring back service activity to dealerships? There are several ways that franchises can drive service activity back to dealerships, but service centres need to be prepared to embrace the future of the industry, and become more open to non-traditional servicing activity. Even with an influx of more advanced electric-derived vehicles, there is still opportunity for regular service activity, albeit in a smaller package. 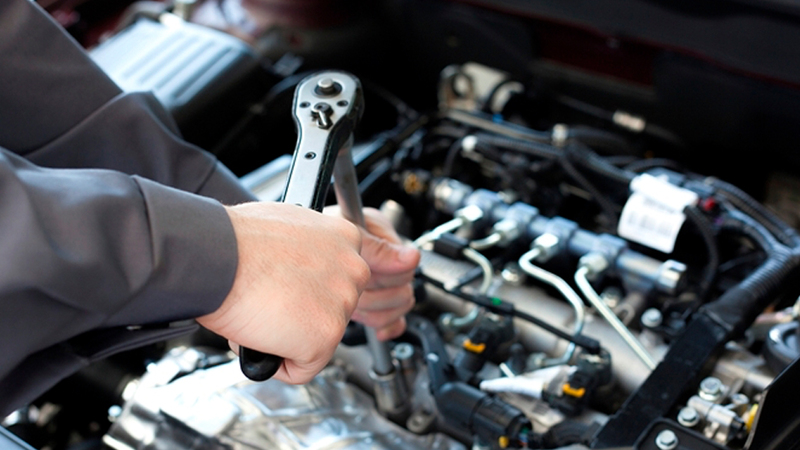 By providing seasonal health checks in lieu of the traditional near-defunct yearly service, you can help drive business back into servicing whilst giving motorists a reassurance that their vehicles are fit for purpose; especially in more unpredictable weather conditions. Whilst cars are becoming more intelligent, there is also the increasing possibility of technical bugs and hiccups. By ensuring a service team is knowledgeable about in-car tech, it means a lot of issues can still be rectified in-house at your service centre. As tech is virtually present in every new car that rolls off a forecourt, this is a lucrative skill to have, especially as sat-nav faults are now listed as one of the top five serviceable problems. The key to the ‘upsell’ is also a vital skill when dealing with consumers, we are now in an age where most industries are focused on the personalisation of the customer journey, and after-sales and servicing should be no different. By targeting products and services to a particular vehicle and owner, you are much more likely to have success with upselling. The days of throwing every available service at a customer are long gone. Software such as autoVHC also enables mechanics to show the motorist images of exactly what is going on and where within their vehicle, and give detailed reports that reflect this. By breaking down complicated vehicle jargon and showing a customer exactly what is wrong/could be improved with their car, it creates a much more transparent customer experience and in turn could offer better customer retention in the future. Overall, existing service centres who may be struggling with the offset in activity should ensure that they are future-proofing their business and creating windows of opportunity that help not only themselves, but also the motorist. ©2017 autoVHC. All Rights Reserved.